Finally! Kids' Meditation That Does Far More Than Simply "Relax"
Hi, my name is Amy Scott Grant and I am a well-known intuitive healer who specializes in creating powerful breakthroughs for individuals who are blocked or stopped in some area of their life. As I began to teach these timeless tools and gifts to my own children, I noticed the severe lack of resources for enlightened parenting. That’s when I decided to create MindTimeTM meditation audios for kids. My daughters (ages 10 and 14) both liked "Calm" so much -- they found the suggestions easy to follow, and really liked the relaxed, peacefulness they felt afterwards. Laura’s sleep has changed dramatically, and I'm so grateful! I'm excited to have a Lifetime Membership and see what topics are available next! Can I do another one, Mom? The kids LOVE your Mindtime Meditations. Each night they actually argue over who gets to hear one first as I only have my phone to use. We found an old iPod last week, so I'm going to try to charge it and load the meditations onto it. That will help! To make homework more fun, Alex has actually been using a timer as you suggest in the homework meditation. She'll be in the midst of whining about having to work on an assignment and then she'll stop herself and say, "I know, I'll use the TIMER!" and she'll gallop upstairs excited. It's wonderful! They really look forward to them and that makes me happy. The Restful Sleep meditation is quite magical and I love how calm and peaceful it makes me feel in addition to the great effect it has on my kids..... I can literally watch my kids relaxing and going to that sometimes elusive place called sleep.......Actually our whole house just feels a lot more peaceful..... I can't think of a better tool for my kids to learn to help them deal with life. Thank you. I know what you’re thinking — every family is different, and every kid is different. Will it work for yours? This is why I want you to be able to try these audios with full peace of mind. You've got a full 60 days to explore all the MindTime™ audios at KidCentered.com and find out what kind of positive impact these healing meditations can have on your kids. If you're not completely satisfied, I'll refund every penny. This offer is only available for a limited time. Your one-time purchase of a Lifetime Membership grants you full access to all MindTime™ meditations for life. We intend to have more than 100 meditation clearings on specialty topics by the end of this year -- that's a $1000 value, for this year alone. But you'll get ALL the benefits of membership just a one-time payment of $197. Look at this recent quote from the Dalai Lama: "If every 8-year-old in the world is taught meditation, we will eliminate violence from the world within one generation." It's risk-free for two full months, so why not give it a shot? You have nothing to lose, and everything to gain. P.P.S. 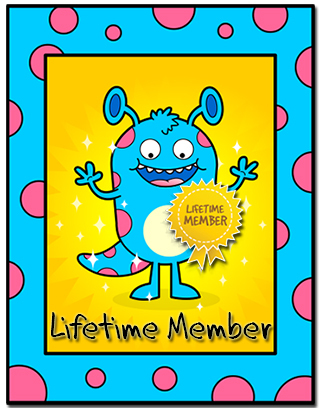 What's the Real Value of a Lifetime Membership? Each meditation audio is priced at $9.97. With more than 100 audios scheduled for release by the end of this year, and another 100+ slated for production next year, the Lifetime Membership is valued at more than $1000 for this year alone, and your membership will continue to grow in value as more and more meditation topics are added. Lock in your Lifetime Membership today for a one-time-only payment of just $197. The Lifetime Membership option will soon be taken off the market for good -- as new audios are added, the value of membership continues to rise, and this option will soon disappear. If it does return at some point in the future, it will be at price much higher that what you see here now. If your child needs help with these issues, I urge you to take advantage of this risk-free offer immediately.